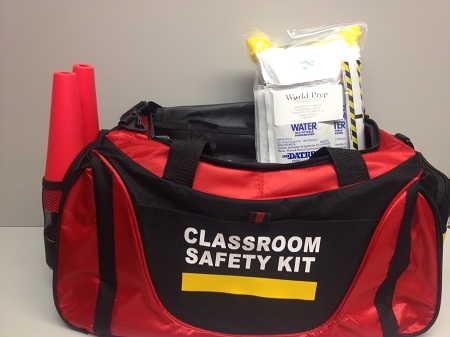 Classroom Safety Kit:This Safety Kit is designed to fit in a closet, cabinet or other storage area in the classroom, ready for use, should it ever be needed and is designed to assist 30 students. Student Classroom Safety Kit Includes a Highly Visibility, Durable Nylon Case with Separate Compartments. • 202 Piece First Aid Kit.